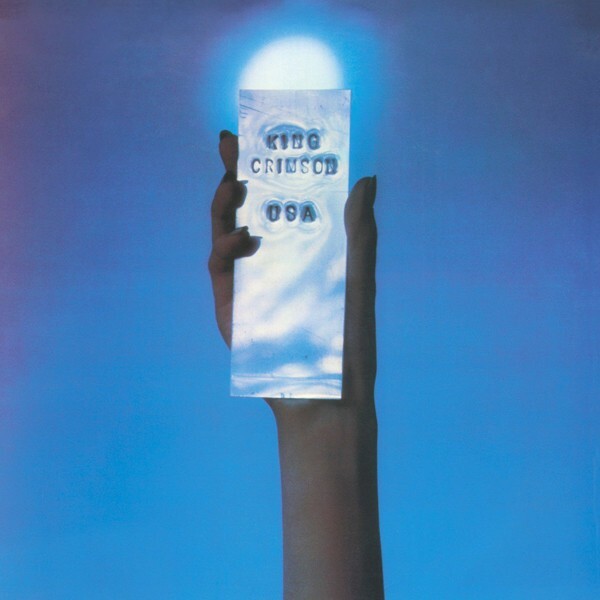 USA was recorded towards the end of King Crimson's final US tour of the 70's in June 1974. It was issued as an epitaph for the band in Spring 1975 as a single album – at a time when doubles or even triple live albums were more considered the norm for live releases. The reputation of the 1972/1974 King Crimson line-up is now revered by critics and fans alike with the material very sought after. 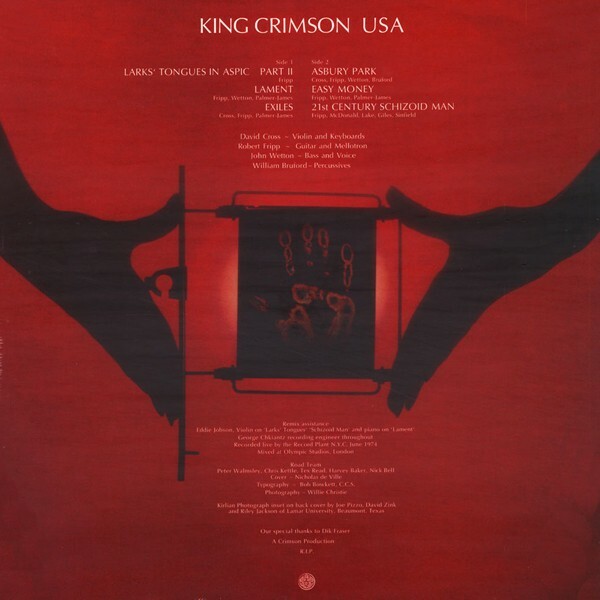 In common with much of Crimson's output, it was not well received at the time by critics, though its critical reputation has grown immeasurably in the intervening years to the point where a review of the 21st Century Guide to King Crimson boxed set in 2004 identified the album as the point "...where Fripp maps out the guitar blueprint for the entire post-punk movement." The reputation of the 1972/1974 King Crimson line-up is now revered by critics and fans alike with the material very sought after. USA is the seventh in a series of audiophile King Crimson vinyl reissues. 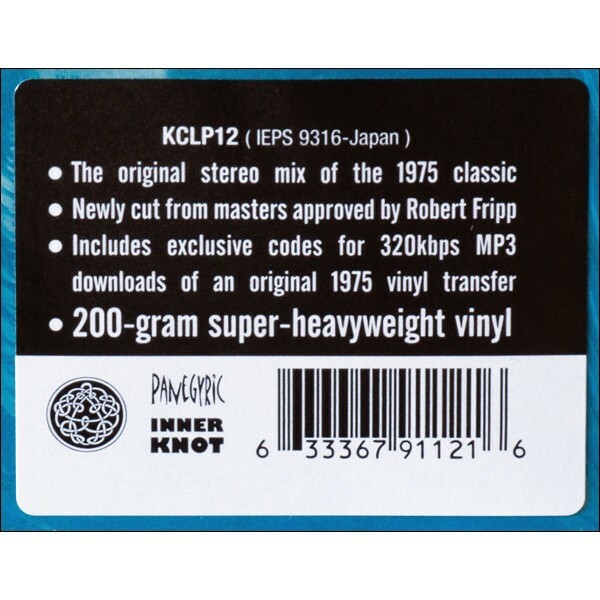 Manufactured on 200g super-heavyweight vinyl and housed in a reprint of the original sleeve. "As Robert Fripp had done with King Crimson's first live LP, Earthbound (1972), USA is a single-disc concert package documenting the quartet during its 1974 swing through North America. As with its predecessor, USA was also issued as a sonic cenotaph of the concurrently defunct Krim. So insistent that the band would not be resurrected, Fripp concluded the LP's liner notes at the time with another three-letter epitaph: "R.I.P." The 1973/1974 King Crimson included the collective efforts of Fripp (guitar/mellotron), David Cross (violin), John Wetton (bass/vocals), and Bill Bruford (drums/percussion). USA also includes notable violin overdubs by Eddie Jobson on the tracks "Larks' Tongues in Aspic, Pt. 2" and "21st Century Schizoid Man," as well as electric piano addendums to "Lament."